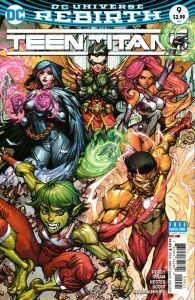 Home / News / Could Kid Flash Be Moving To Titans? Could Kid Flash Be Moving To Titans? 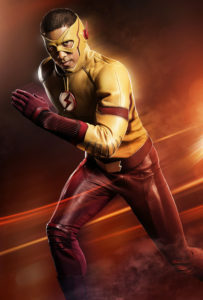 Wally West (Keiynan Lonsdale) appeared to have departed The Flash at the end of the third episode of Season 4. However, the character is still a series regular and he will be back in the seventh episode of the season, as revealed by Executive Producer Andrew Kreisberg in a Q&A today. Kreisberg also stressed that Wally is “not gone from the Arrowverse,” which makes us wonder…. “It was difficult having two speedsters on the show, just creatively and financially,” Kreisberg admitted at the press Q&A. 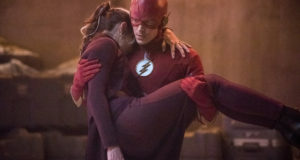 “You know, there’s a lot of times where either Barry had to get knocked out so Wally could save the day, or Wally had to get knocked out so Barry could save the day, and just even knocking them out, that cost a lot,” he said, also pointing out some of the creative challenges. He did promise that Wally will be back, however. 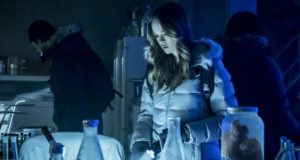 “Wally is not gone, certainly, from the Arrowverse, and he’ll be back on Flash, and more exciting stuff about Wally will be revealed as we move forward,” Kreisberg said. With these words, we here at FlashTVNews are starting to wonder: Could Wally West be moving to the Titans show on the DC Comics streaming service? After all, Wally has been an important figure in Titans lore, and while it would mean The Flash loses a speedster, it would give Titans another icon. So far, no announcement has been made in that department, nor has it even been confirmed that Titans is in the same universe as The Flash. It is worth pointing out, though, that Arrowverse producers Greg Berlanti and Sarah Schechter are involved with Titans. Visit our Titans hub TitansTV.net for more on the project! Previous: Flash “Girls Night Out” Pics With Katee Sackhoff & Felicity!